Test your limits with an adventure like no other. Zip line through bushland, abseil down cliff faces, go canyoning or climb iconic structures like the Sydney Harbour Bridge. Know someone who lives life to the fullest? An adventure sports experience are the perfect Gifts for Men and women love to push themselves to the limit. Take advantage of our range of adrenaline adventures from canyoning to bridge climbing and everything in between. Prepare for battle as you engage in an outdoor Paintball experience. These are great Gifts for Husband and the perfect activity for him to do with a bunch of his mates. If you're looking for something to do or a gift that will give you the ultimate rush, taken on our Abseiling. Propel yourself down a vertical cliff face and get the heart pumping. 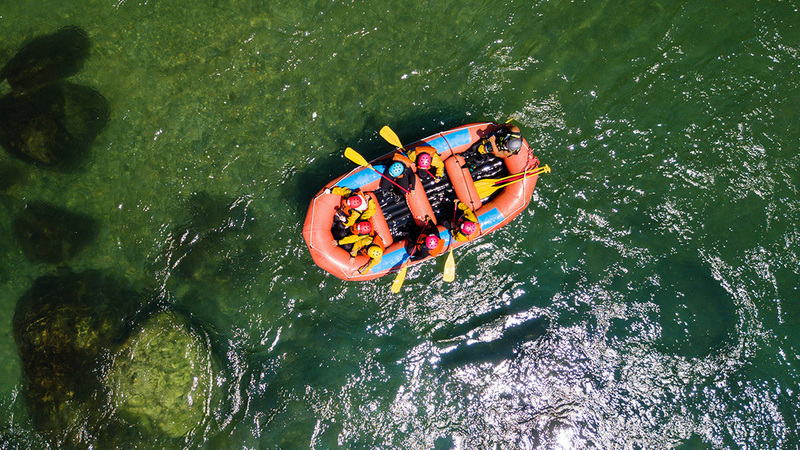 If you're on the quest for excitement, adventure sports should be at the top of your list. If you're looking for Gifts for Dad, mum or anyone important in your life, give an experience that combines adventure with breathtaking views like a bridge climb. For a bucket-list worthy experience the Sydney Harbour Bridge Climb is a once in a lifetime experience. See one of the world's most famous harbours from the best vantage point and taken in the beautiful Sydney scenery. If you're looking for a gift for someone who always spent their time climbing trees as a kid, we've got just the right experiences. Let them get back to nature and branch out on a new adventure with a high ropes tree climbing course or tree surfing experience. You could be soaring through the forest on a giant flying fox. These adrenaline adventures are not for the faint hearted. Can you see yourself, or someone you know on a canyoning or abseiling adventure repelling down cliffs, or even buildings from dizzying heights? Just remember to take in the scenery on the way down! Does the man in your life consider himself the next Bear Grylls? An adventure sports experiences could be awesome gifts for him. Send someone you love on an exhilarating experience they are sure to always remember.